When the Euro zone Debt driven financial crises – yes, it has been dragging on for a little while now; lurching from one convulsion to the next tremor – is headline news across most traditional newspapers in Britain, it is worth pausing briefly to consider the overall ‘management efforts’ of the European leadership and senior bureaucratic establishment and the potential outcomes. 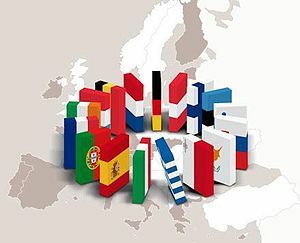 The interesting point to observe today is the development of the crises from one of ‘consolidated rhetoric’ to save the Euro zone and Euro project, to a slow and it now seems inevitable conclusion that certain ‘none performing’ members will have to leave the Euro monetary union. This ‘orderly exit’ is now overdue because the political will, fiscal consolidation and Euro zone wide risk sharing necessary to ensure continued membership, on an equal footing, has been and is being rejected by the electorate as incumbent political leaders and governments stumble and fall as each political reflection point at the ballot box looms. What is not being openly discussed? What is currently not part of the popular discourse is the fact that the risk has moved on from a political, credit and market risk to one of a social or socio-economic dimension. Because ‘austerity proper‘ has not yet begun to bite and embed itself firmly in the economies of most European countries, as part of the process of climbing the stairway on the upward leg of addressing the mountain of sovereign debt built up over the last few years, nobody has really, except for Greece (and a blip in August 2011 in Britain), had to deal with large-scale and continued civil unrest. Yet, this is exactly the scenario we need to prepare for as a few conversations we have been having with analysts and pundits has openly started raising this spectre as another risk factor to add to the volatile cocktail we are already expected to swallow.